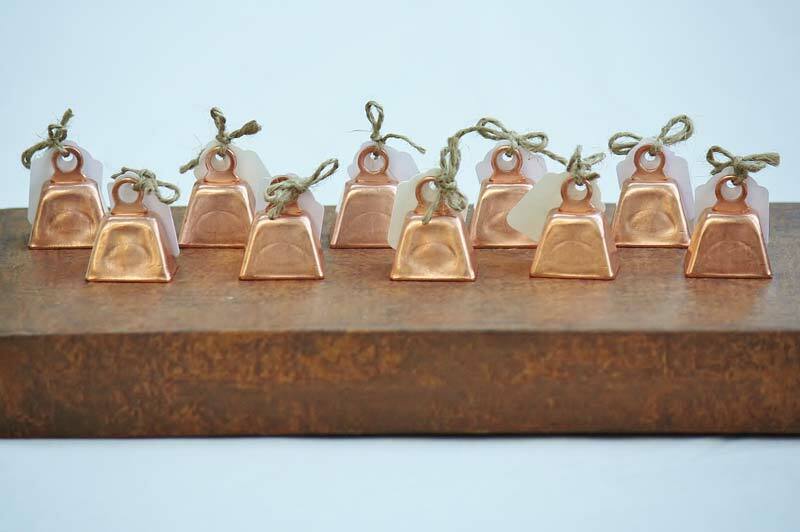 Height: 3/4" Height with loop: 1 1/4" Length: 1" Width: 3/4"
These cow bell wedding bells are perfect for decoration or seating arrangements. Put them on dinner tables for guests to find their seating. Ring them to celebrate the to joining of families! 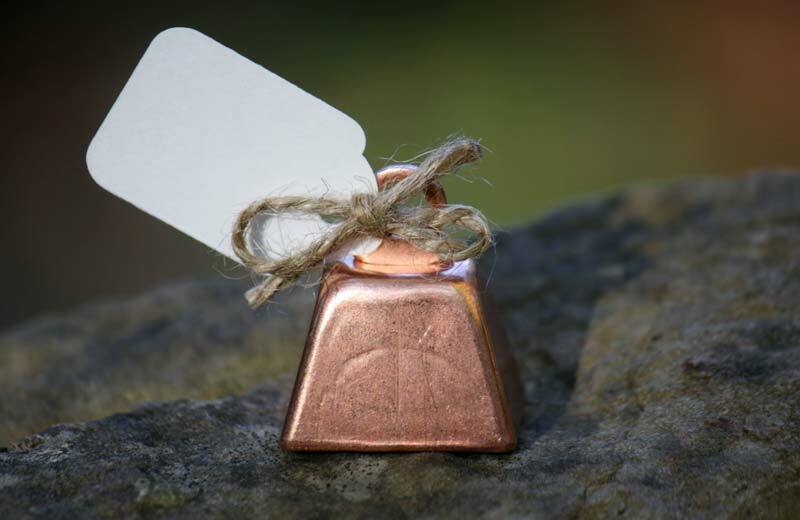 Wedding bells bring good luck to newly weds.